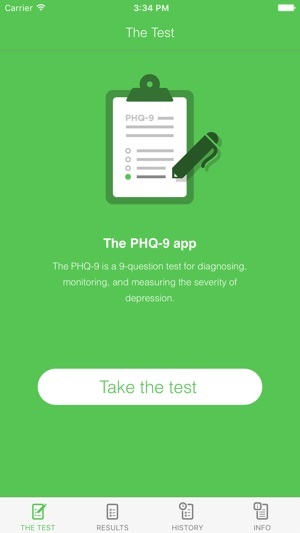 The Depression Test is a powerful tool to diagnose depression and monitor treatment response.The test questions are based on Patient Healthcare Questionnaire-9 (PHQ-9), the most widely used and trusted questionnaire among mental health professionals. The test can be self-administered. Depression can be effectively treated. Don't wait until things get worse. Find out if you're depressed and then take action. I see so many young kids using this app as a way to diagnose them self with this 9 question test. This is not an actual diagnose for depression. If you think you are sick, you need to consult an actual doctor. 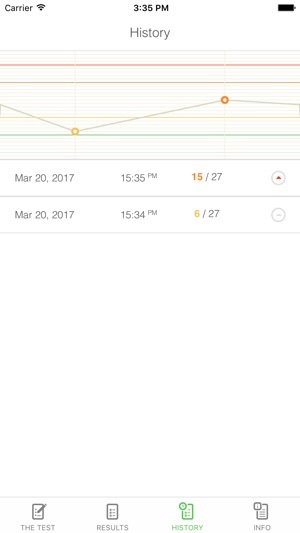 I can see how this could be good for people who have already been diagnosed and they want to track their behaviors and make notes of moods and low days but this app offers no solution. It’s just telling a bunch of 12 year olds to “be happy” and “you have depression” when they might not. To be diagnosed, there’s a legit screening process and blood work that needs to be done. This app is dangerous to young kids who are using it to self diagnose!!! 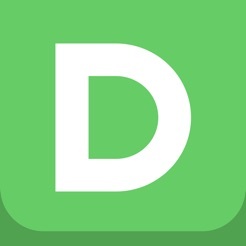 If you are a young teen reading this, please seek help before getting this app. Please. Much love to you, guys. So I’m 11 and I got a score of 24 of severe depression and I’ve told my family. They all have beed diagnosed with depression but they say that I don’t have depression at all. None of them are doctors and I really want to see a doctor to be sure. I know this is NOT for self diagnose so I may be wrong. The questions make sense and so do the answers. 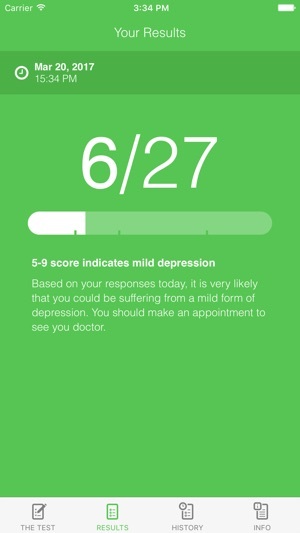 I like that this app allows users to take a general depression test. But this app should not be used in place of an actual medical diagnosis. Much more goes into diagnosing depression than a few questions. This app, however, can help start discussions regarding how a user feels, and/or allow a user to really pinpoint how they feel.